The Canon EF 50mm f/1.8 lens is a very popular and solid lens, being a great introduction to prime lenses, cheap enough to be in anybody’s kitbag and a nice ‘standard’ lens, especially on a full frame sensor. In many ways, the 50mm is one of the first lenses people opt for excluding zooms when they buy into their first Canon DSLR. 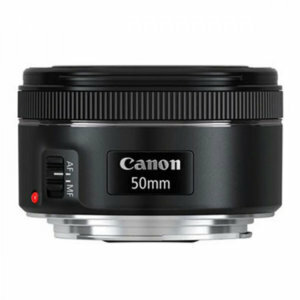 To celebrate Canon’s 25th anniversary, the lens has been upgraded to the new Canon EF 50mm f/1.8 STM, addressing some of its previous deficiencies. Although the lens previously had good optics, the build construction had a lot to be desired. Small and light, yes, but it also felt flimsy. This time around, you get a metal lens mount with improved build quality, an updated manual focus ring, Super Spectra Coating, STM motor, better minimum focus distance of 350mm vs 450mm before, 0.21x maximum magnification vs. 0.15x in the past and now f/22 rather than f/16. Fifty millimeters is the de facto standard for many on a full frame or on crops sensors, useful for nearly every type of photography. From portraits to landscapes, the 50mm is definitely a workhorse lens. The other benefit is the ability to get ultrawide in aperture. f/1.8 beats most of the zoom range, but obviously not as wide as the ‘L’ equivalent 50mm, which can reach f/1.2. However, you’re paying far more for that type of width and quality. Due to its budget price you don’t get DOF markings, focus distance or a distance window on the lens. It’s a basic layout with just the AF/MF switch and manual focusing ring for external features. It still feels plastic in feel, but it does get a metal lens mount. Also, don’t expect any weather sealing here. It’s a featherweight at just 159g/5.6oz. Compare this to the top of the range Canon EF 50mm f/1.2L USM lens weighing in at 545g/19.2 oz. If you want to add something like a neutral density filter, the lens has a 49mm thread. Focusing is done via the STM (stepping motor-driven AF system). The focusing ring itself is small and smooth in operation. Manual focusing works with slow adjustments for small changes and fast rotation to speed up focusing. In other words, it’s not linear, so it’s something you have to get used to on this lens. Although STM may not focus as fast as USM or have instant, continuous manual focusing, the STM system has smooth and quiet focusing which can be an added benefit in Movie Servo AF mode. It’s still not completely silent, but a big improvement over the past lens. Firstly, the optics in the EF 50mm f/1.8 STM are the same as its predecessor. It does, however, get Super Spectra Coating (SSC). Dropping down to F/1.8 gives you very shallow DOF, with some nice bokeh, but if you want ultimate sharpness you have to start around f/4, beginning to look very crisp around f/8. Under f/2.8 there is corner softness, which is most noticeable on a full frame sensor. Compared to its predecessor, you get slightly sharper images at f/1.8 on the new model and even from f/4 upwards. Vignetting is noticeable at f/1.8 and virtually disappears at f/4 on a full frame sensor. The lens is much better on a crop sensor hardly noticeable at f/1.8 for Vignetting. Being a wide lens you would expect some flare at f/1.8, which is mild in most cases, but again stopping down past f/5.6 cures this factor. Strong and smooth background blur should be a forte of a wide lens. You get plenty here at f/1.8 which looks nice and acceptable, but it’s not up to the standard you would expect from the ‘L’ equivalent. This should almost be given considering the price difference between the two lenses. The 7-blade aperture gives pentagonals to background highlights, again acceptable but nowhere near as creamy looking as the more expensive 50mm lens. However, with all these factors you have to keep reminding yourself of how cost-effective this lens is in reality. Meaning that it has flaws, but for the money, it’s quite decent. 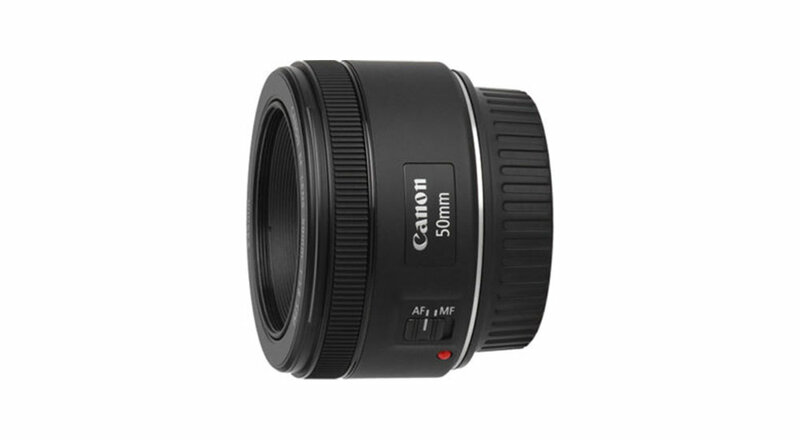 Due to its cheap price, it’s only equivalent is the EF 50mm f/1.8 II lens. As both lenses come in at the same price, given the choice you should opt. for the new model. If you want better optics, you have to start spending more money. The most favorable attribute of this lens is its price what you get for your hard earned money. It’s cheap enough to be in anybody’s kit bag and although it may not be used often by serious photographers, it could be used as a good backup lens or for even practicing at times if you only own zoom lenses. The Canon EF-S 18-135mm covers the 50mm base at a very cheap price, so in many ways, there’s no reason not to own one. The lens is a worthy upgrade to its predecessor and comes in at the same price point. Although they both use the same optics, the new lens is slightly sharper and gets better after f/4. There is also less flare from the new lens. You can only expect so much optical quality at this price point, so as long as you keep reminding yourself of what you’re getting for your money, then the results are more pleasing than you would expect. If you shoot above f/2.8 or f/4, the results can be better than expected. Basically, it’s a great little lens for the money. Overall, this is the lowest price lens you can get for a Canon, but this doesn’t mean it’s the worst. Stopped down the lens is sharp and fully wide-open, the bokeh is acceptable, considering its price. This is Canon’s best seller for a reason as you really can’t get better for the money. Cheap in price doesn’t always necessarily mean cheap quality. In this case, the quality is far better than the price indicates. A great introduction into a Canon prime lens.